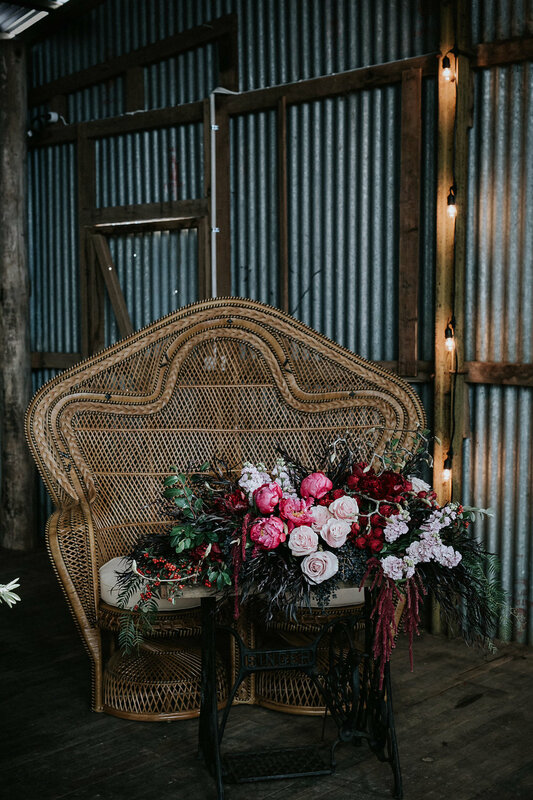 Our client, Waldara enlisted us to create an amazing campaign focused on utilising their farm, including a working sheep shed as a beautiful ceremony & reception venue for a winter wedding. Our mission was to create a luxurious vision abundant with rich texture & colours set against galvanised metals, wood and the beautifully picturesque farm setting. We worked with an amazing group of vendors on this project including Photography by Willow & Co. | Props & Flowers by Rustic Character | Caravan bar My Little Peony | Hair & Makeup Blonde Rumour | As featured on Wedshed | Fashion by Natalija robe | Love Found True ostrich feather jacket | White Meadow gown | Jennifer Gifford gowns | Elizabeth Bower jewellery available at Love Find Co.